Planting trees is hard work - and made harder by the fact that we plant them in the months when it would be much more comfortable to be sitting in a nice warm cab or office somewhere. But alongside the obvious issues of manual handling and dealing with the winter weather there are other, less obvious risks that need to be thought about carefully. Trees planted for forestry may be pre-treated with a pesticide product to protect the young saplings against attack by the pine weevil. If this is the case, it is important that whoever is managing the work or carrying out the planting takes some common sense measures to prevent workers getting pesticide on their skin or indirectly ingesting pesticide, for example when eating or smoking. Over the past few years, HSE has received reports of skin irritation from some workers who have been handling treated plants. These effects usually go away after a short time and shouldn’t cause any serious health problems. However, the fact that some workers are reporting effects on their skin shows that, in these cases, the controls to prevent exposure just are not working properly. It is very important to remember that PPE will become contaminated with pesticide residues (that means it is working properly) and it is essential that workers do not touch exposed skin with contaminated PPE, such as gloves. This article highlights some of the most important information that needs to be considered when planting treated trees. Where plants have been treated with a pesticide, you should carry out a risk assessment as required under the Control of Substances Hazardous to Health Regulations 2002 (COSHH). The COSHH assessment will help you identify the controls that need to be adopted. Communication is essential. You must inform workers of any potential ill health effects associated with exposure to the pesticide and provide them with the right information and guidance to help them prevent exposure. You should also ensure that operators report any incidents of ill health effects to the supervisor immediately. Provide training on putting on, washing down, taking off & storing PPE. Keep treated plants and contaminated materials away from resting and eating places, stored personal clothing and the passenger areas of vehicles. Plan the placement of portable washing water around the placement of plants. Hand-cleaning aids such as waterless skin cleanser or soap and water and paper towels must be readily and conveniently available for workers to use throughout the day. Cleaning aids located away from the work are unlikely to be used! Ensure all protective clothing is clean & undamaged at the start of each work period – pay particular attention to gloves. Replace damaged items of protective clothing promptly. Store protective clothing in ventilated accommodation. 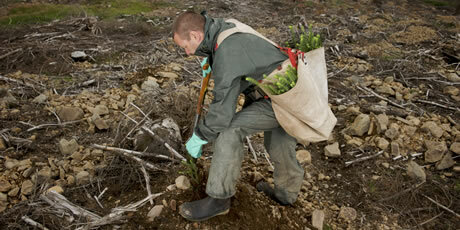 Always open plant storage bags on the site to ventilate for at least one hour before removing the plants. Cut away or roll back the upper part of the plant storage bags to provide easy access to the plants. Handle plants carefully to minimise personal contamination. Never touch the face or any other exposed skin with the gloved hand or forearm sleeve. If you feel unwell report the symptoms and seek medical advice, giving details of the work concerned and the full name of the pesticide product used. Safely dispose of all used storage bags. Wherever gloves or sleevelets have to be removed, thoroughly wash their outsides with soap and water and wipe off surplus moisture before removal. Warning: immersion of the gloves into the water will contaminate the inside surfaces. Replace gloves regularly to minimise exposure to pesticides from any internal contamination. Use disposable paper towels for drying / wiping off surplus moisture. Ensure that different water and different washing bowls are used for protective clothing and for personal washing. Keep planting bags clean by emptying and washing them out daily.